It was a great experience playing at 285 Kent last Wednesday among such illustrious folk. ZS, Hubble, Extra Life, Mick Barr, and Diamond Terrifier all brought inspirational sets to the stage, and it was as always a privilege to play with Wet Ink. This time, Wet Ink was a quartet comprised of Sam Pluta (electronics), Kate Soper (voice, keyboard), Alex Mincek (sax) and me (violin). We debuted a gnarly drone piece which we will continue to develop over the next season. Looking forward to some big Wet Ink events in 2012-13, more info coming soon! 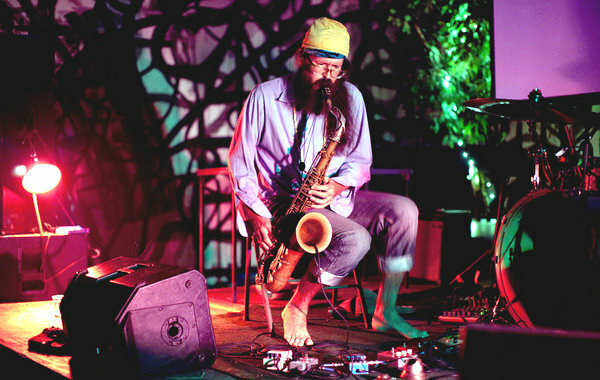 There was a nice NYT review of last week’s show, focussed on the new sound of ZS, check it out! ← Wet Ink & ZS Tonight, 8/29!